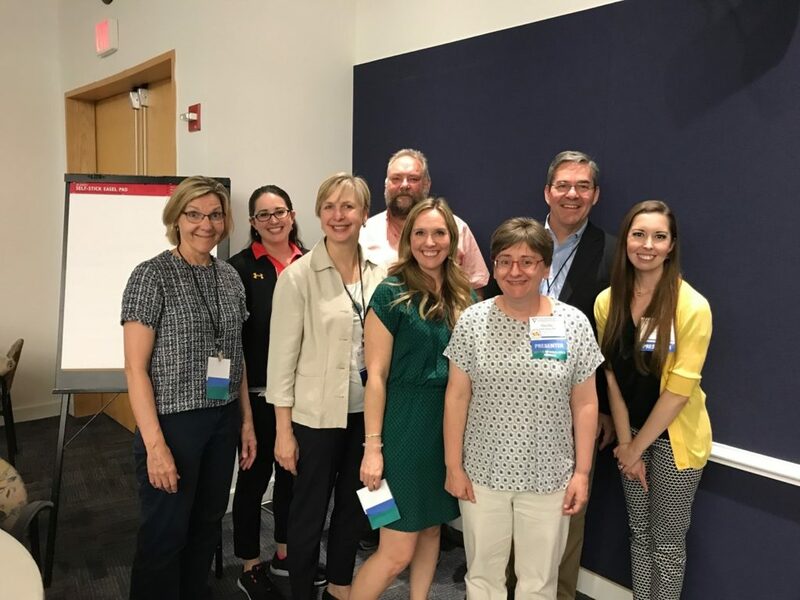 Members of the Healthier Workforce Center (HWC) from three Midwest states packed their bags in May 2018 and traveled to Bethesda, MD for the 2nd International Symposium to Advance Total Worker Health (TWH). This diverse team includes practitioners, researchers with a wide range of academic training,including safety and health, ergonomics, engineering, occupational medicine,anthropology, occupational therapy, communication, psychology, and public health. HWC presenters led workshops and symposia, disseminated recent research findings from core and pilot research projects, participated in poster sessions, and hosted a table display showcasing Center outreach materials. More than 20 presentations from members addressed safety and health topics,populations, and research and dissemination methods. One poster presented by Kevin Kelly, PhD, Deputy Director, represented the history of precarious work from the stone age to the gig economy. 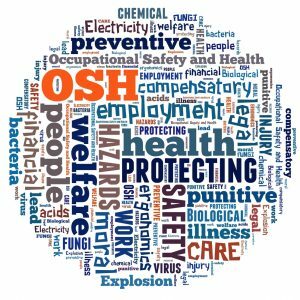 Approaches to translating research findings into the workplace were described by Heather Vanover, PMPCHCM, Director of Workplace Services at the Nebraska Safety Council/WorkWell. Pilot grantee, Lauren Remspecher, MPH, from the St. Louis Business Health Coalition shared their TWH resource guide for employers.